Conventional stair lifts are designed with the seat at right angles to the rail so the user travels “sidesaddle” but you can also find forward facing stair lift that is made for people with back problems and spinal issues who require more room on the landing. This residential model stair lift helps people with debilitating conditions move about their homes more freely and offers a comfortable seating position when using a lift. If a conventional residential stair lift doesn’t have the options you need for comfortable transport consider a forward facing stair lift. Forward facing stair lifts come in compact designs so guests can also use the stairs without the unit having to be folded. 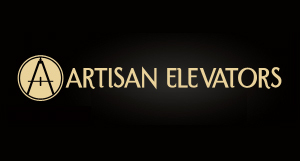 However, most residential stair lift models have seats, arms and footrests that conveniently fold up for greater comfort. Forward facing stair lifts were designed to assist people who have chronic back pain and stiff knees since this model allows people to sit with legs outstretched. 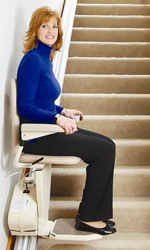 With a conventional stair lift the person is facing sideways and wouldn’t be able to extend their legs when using the device. You can find forward facing stair lifts in many comfortable styles to make getting around your home easy. With a high quality residential stair lift in your home people with disabilities and mobility issues related to illness or accidents can still move from floor to floor and continue with their daily activities. This accessibility between floors is a great option to have especially if the house layout makes it essential to move up and down stairs to get to bathrooms, the kitchen and laundry room. Having a forward facing stair lift in your home may be just the thing a parent or grandparent needs to continue living life on their terms.